Rebecca Derven ’15 worked with Valerie Reyna, professor of human development, on "Interventions for Risk Reduction in Obesity Prevention;"
Judith Mildner ’14, mentioned above, worked with Nathan Spreng, assistant professor of human development, on "Age-related changes in enhancement and modulation of the default network;"
Emily Bastarach ’14 worked with Anthony Ong, associate professor of human development, on "Resilience to parental loss: A prospective study of early parental support and positive emotions;"
Wendy Wei, ’15 worked with Marianella Casasola, associate professor of human development, on the project mentioned above called "Putting the pieces together;"
Jenna Behrendt ’14 worked with Barbara Lust, professor of human development, on "Characterizing language deficits in mildly cognitive impaired elderly compared to a healthy aging and a young population." Posted in Students in the News and tagged child development, cognitive development, neuroscience on October 16, 2013 by ktb1@cornell.edu. Posted in Features and tagged child development, cognitive development on October 16, 2013 by ktb1@cornell.edu. 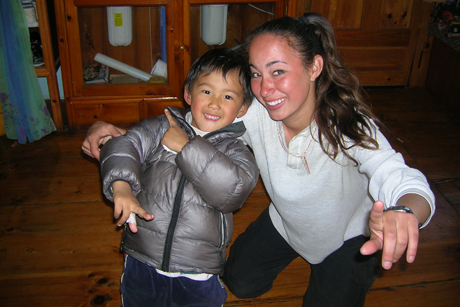 Katie Sullivan ’11, who conducted interviews with Nepalese while studying abroad, with a Nepali child. Preschoolers universally recognize that one’s choices are not always free – that our decisions may be constrained by social obligations to be nice to others or follow rules set by parents or elders, even when wanting to do otherwise. As they age, however, American kids are more prone to acknowledge one’s freedom to act against such obligations compared to Nepalese children, who are less willing to say that people can and will violate social codes, finds a cross-cultural study by Cornell developmental psychologists titled “A Comparison of Nepalese and American Children’s Concepts of Free Will,” published May 20 in the journal Cognitive Science. The findings, researchers said, suggest that culture is a significant influence on children’s concepts of choice regarding social norms. 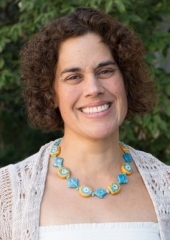 Led by Chernyak and Tamar Kushnir, the Evalyn Edwards Milman Assistant Professor in the College of Human Ecology, the research team interviewed children in the two countries to understand their beliefs on free choice and the physical, mental and social factors that limit choice. Co-author Katie Sullivan ’11, a human development major with a minor in global health, aided the project while studying abroad in 2009 through the Cornell Nepal Study Program – a joint venture with Nepal’s Tribhuvan University. Sullivan took courses, learned the language and immersed herself in the culture before working with Chernyak and Kushnir to adapt their survey into a culturally appropriate version for Nepalese children. Partnering with Rabindra Parajuli, a Nepali research assistant, she worked with village and school leaders to arrange and conduct interviews with children. Researchers read a series of nine vignettes to 45 Nepalese and 31 American children – hailing from urban and rural areas and ranging in age from 4 to 11 – about characters who wanted to defy various physical, mental and social constraints, asking kids whether the characters are free to follow their wishes and to predict if they will do so. Nearly all children, across ages and cultures, said the characters could freely choose when no constraints were evident – opting for juice or milk at a meal or whether to draw with a pen or pencil, for example. The children also universally agreed that one is not free to choose to go beyond one’s physical and mental abilities – opting to float in the air or to surpass the limits of one’s knowledge and skill. Developmental and cultural differences emerged, however, in children’s evaluation of choice in the face of social constraints. Younger children in both cultures said that various social and moral obligations limit both choice and action – that one cannot be mean to others, act selfishly or break rules and social conventions, for instance. But by age 10, American children tended to view these obligations as choices – free to be followed or disregarded based on personal desires. Nepalese children continued to believe that such constraints override individual preference. “As children become more exposed to their own culture and adult behaviors, they are more likely to adopt their culture’s ways of thinking,” Chernyak said. Chernyak said also that future research could try to define what contributes to these differing views. Qi Wang, professor of human development, is a co-author on the study, which was funded in part by the James S. McDonnell Foundation Causal Learning Collaborative Initiative. The work was also supported by a Cornell Cognitive Science Dissertation Fellowship awarded to Chernyak. Posted in Features and tagged child development, cognitive development on July 25, 2013 by ktb1@cornell.edu. Young children are not like sponges just soaking up information. They can actively evaluate what people know and go to the "experts" for information they want, reports a Cornell study published in a special issue of Developmental Psychology (Vol. 49:3). Children, the researchers say, are "natural scientists" who gather and assess evidence from the world around them. 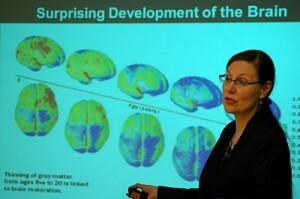 "As adults we rely on experts to help us fill in the gaps in our knowledge -- that is, we appreciate that there is a 'division of cognitive labor' in which different people know different things," said Tamar Kushnir, the Evalyn Edwards Milman Assistant Professor of Child Development and director of the College of Human Ecology's Early Childhood Cognition Laboratory. "Our research suggests that this appreciation for people's differing areas of expertise is based in our early, intuitive 'theory of mind' abilities -- a set of beliefs that begins to form while children are still very young." 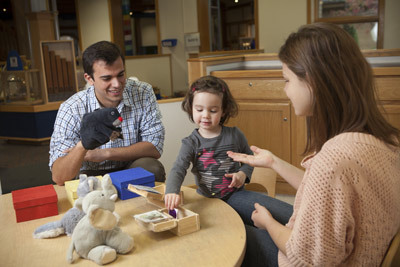 To shed light on how children's understanding of cause and effect is influenced by information from other people, 3- and 4-year-old children were shown a short puppet show. One puppet (the "labeler") tried but failed to fix two broken toys, but demonstrated that he knew the names of the tools he used. The other (the "fixer") was able to fix the toys, but didn't know the names of the tools he used. In a series of follow-up questions, children were prompted to choose a puppet to ask for either the names of unfamiliar objects, the functions of unfamiliar tools or for help to fix a few more broken toys. The researchers found that most of the preschoolers asked the fixer for help with fixing new broken toys. Moreover, they directed their requests selectively and appropriately. They did not ask the fixer to learn object names (for that they asked the labeler) or to learn new tool functions (for that they asked both puppets equally). In a second experiment, children watched a short video of two adults -- one who fixed toys and one who failed to fix toys. Later, each adult provided explanations for a set of mechanical failures (for example, saying that the toy was broken "because the motor had stopped moving"). Each adult also made claims to know the names of some unfamiliar objects. The children overwhelmingly endorsed the fixer's explanations for why the toy didn't work. Once again, their endorsements were selective; they did not prefer to learn new words from the fixer. The results suggest that preschoolers can infer what a person might know from watching what they do and use this to choose whom to learn from, the authors said. Across both studies, the children selectively judged the fixers to be reliable sources of information about cause and effect, but not about language (i.e., words) or other common conventions (i.e., tool functions). In other words, the children correctly evaluated the fixer's causal expertise. "Good educators often struggle to teach a healthy dose of skepticism about unreliable sources, particularly when so much information is readily available electronically," said Kushnir. "Our study and others like it suggest that young children are not entirely credulous. Perhaps there are ways to take advantage of these intuitions as part of early childhood education." 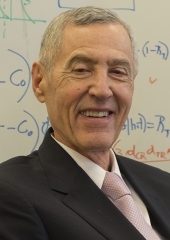 Kushnir co-authored the paper, "'Who can help me fix this toy?' The Distinction Between Causal Knowledge and Word Knowledge Guides Preschoolers' Selective Requests for Information," with graduate student Christopher Vredenburgh and Lauren A. Schneider '11. 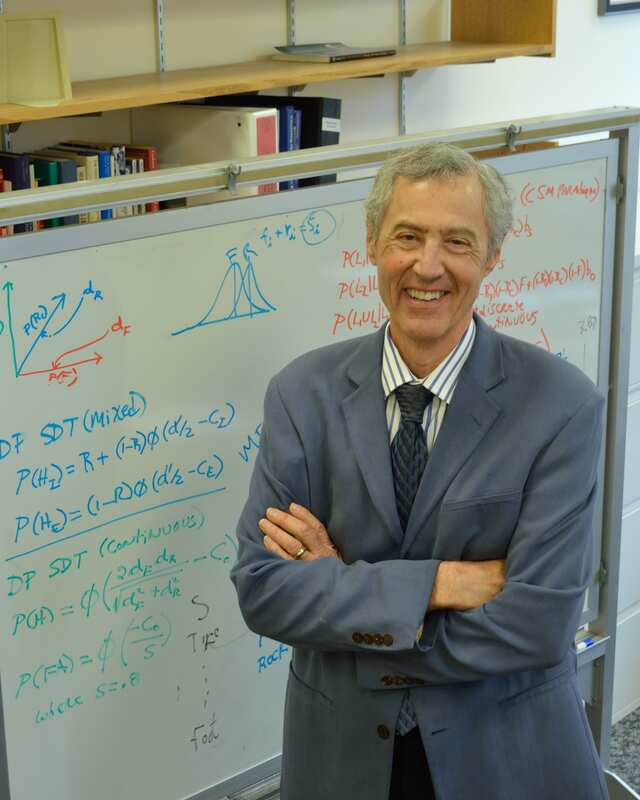 The study is part of a larger National Science Foundation-funded study on causal learning and was also supported in part by the Leopold Schepp Foundation and the Institute for the Social Sciences at Cornell. Posted in Features and tagged child development, cognitive development on May 13, 2013 by ktb1@cornell.edu. Tommy Rucker '13 and graduate student Nadia Chernyak, both research team members of the Early Childhood Cognition Laboratory, work with Ruby Yantorno-France, 3, at the Sciencenter in Ithaca Nov. 1. "Doggy feels sad today," Nadia Chernyak, a Cornell graduate student, recently said as she showed a dog puppet to several children at the Sciencenter, a hands-on science museum in Ithaca. Chernyak '08, M.A. '09, was conducting an experiment with the children and had given them colorful stickers, which they presumably wanted to keep. The kids -- between 2 and 4 years old -- could cheer up the puppet only by giving him a sticker. Some faced what Chernyak called an "easy choice": either share their sticker with the puppet or hand it to Chernyak, who would throw it away. Others had a tougher decision: keep the sticker for themselves or share it with the puppet. After making their decisions, the children received three more stickers and the choice to share some with a different toy, "Ellie," a stuffed elephant. Chernyak found that most children shared their stickers with Doggy, and the ones who made difficult choices in the first stage were more willing to share a second time with Ellie. Her findings, part of her dissertation on children's moral development, suggest that kids may learn empathy in part by making difficult autonomous choices. Chernyak's investigation is contributing to a larger study overseen by Tamar Kushnir, the Evalyn Edwards Milman Assistant Professor of Child Development and director of the College of Human Ecology's Early Childhood Cognition (ECC) Laboratory, which is investigating how young children develop a concept of choice and its influence on their behaviors and perceptions. Through a novel partnership begun last February, undergraduate and graduate students in Kushnir's lab have conducted experiments with more than 500 children at the Sciencenter. The collaboration began after Kushnir, Michelle Kortenaar, Sciencenter director of education, and Charles Trautmann, the center's executive director and Cornell adjunct associate professor of engineering, explored a mutual interest in involving young children in research and creating more evidence-based programs at the museum focused on learning in early childhood. "It's viewed as a benefit to our guests to have their kids take part in this research," Trautmann said. The ECC lab's work at the Sciencenter has helped researchers share their findings, said Kushnir, who also examines how toddlers and preschoolers understand cause and effect. "Parents are watching as you play with the kids, and they'll ask, 'What happened there?' and a researcher will explain it to them. 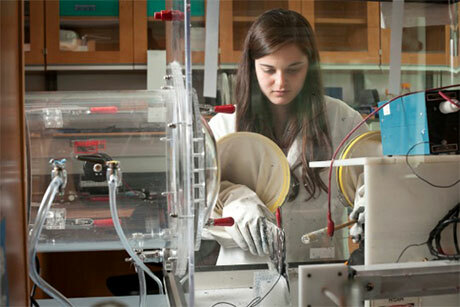 Our researchers are disseminating directly to parents," she said. "So science gets done, museums get support, research gets support and students get trained." The Sciencenter has shown its visitors "what research looks like," Kortenaar said, and Cornell graduate students have made two presentations on their study findings. She also noted that parents and caretakers have largely been enthusiastic about involving their children in the experiments. An exhibit based on the ECC lab's work and a plan to expand the partnership to include teaching along with research are under discussion. 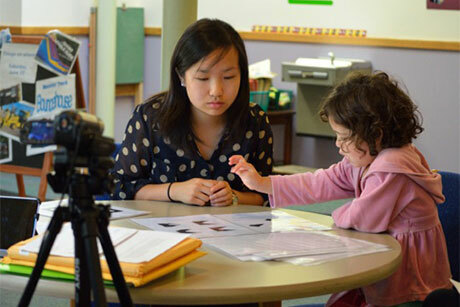 Kushnir added a service-learning component to her senior seminar to create interactive tools for young children and their parents to use the museum to learn about science in an age-appropriate way. This partnership is part of a larger national trend encouraging informal childhood learning, Kushnir said: "We're part of a large group of museums and labs doing this kind of thing; it's happening in San Francisco, New York, Minnesota, Chicago -- every major urban center -- and tiny little Ithaca. As long as I'm around, this isn't going anywhere." Sarah Cutler '16 is a student communications assistant for the College of Human Ecology. Posted in Articles on the Web and tagged child development, cognitive development on February 26, 2013 by ktb1@cornell.edu.